Comments: A clear white flower has an extra long blooming time. If deadheaded, it will flower from early summer into the fall. 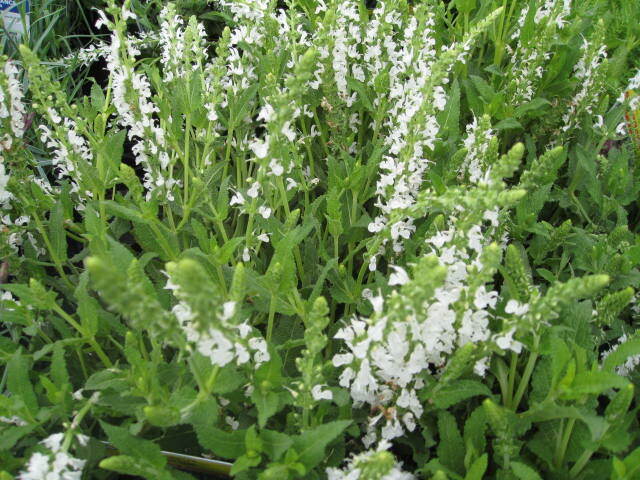 Like other salvias in the "Hill Series" it is very compact and seldom exceeds 12 inches in height. Use as a bedding plant in the landcape where it is very effective in drifts. It is treated as an annual in most gardens.